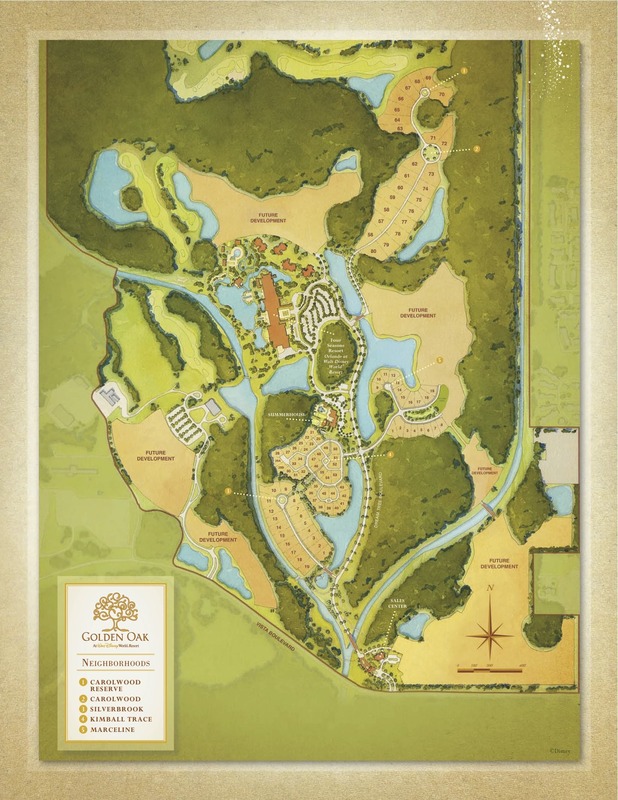 My family had the opportunity to take a look at Golden Oak At Walt Disney World Resort. Have you ever wanted to own Disney property? Well, now you can! The Disney Golden Oak is a community like no other – just 4 miles from the Magic Kingdom and steps away from the soon-to-open Four Seasons Hotel – this luxury residential resort community is hard to beat. 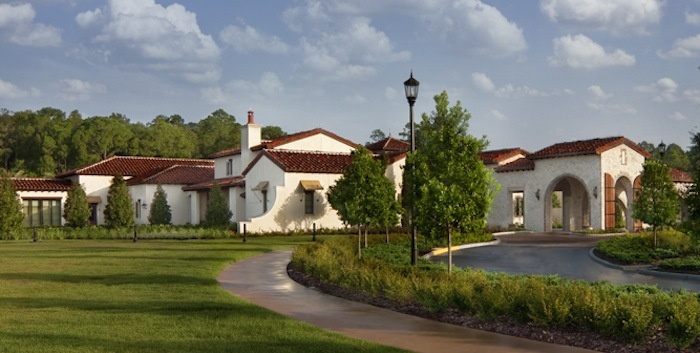 Residents will not only enjoy a custom single-family home AT WDW, but they will get to share lasting memories with their families and friends for years and years to come. I know you have a lot of questions – and I have the answers! I was lucky enough to have the opportunity to spend 3 days with the good folks of Golden Oak – including Vice President of Disney Resort Real Estate Development Page Pierce – and have so much to share. How Large Is The Golden Oak footprint? The actual footprint is 980 acres but almost half of the entire property is filled with natural preserves, landscapes, parks and gardens. 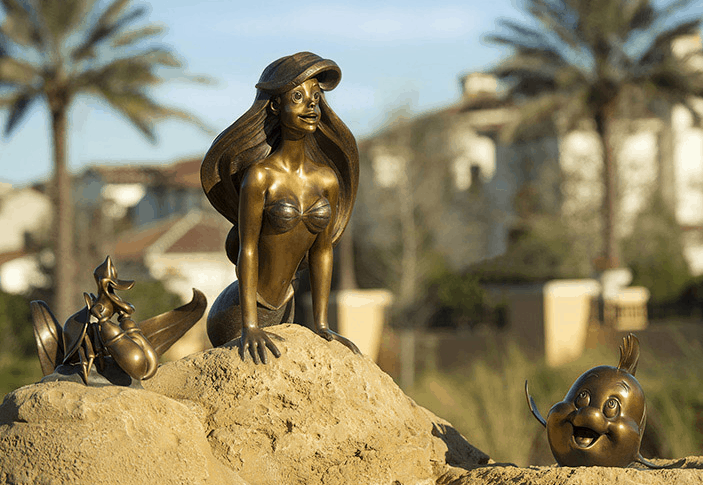 The parks have a little Disney magic in them – they each contain various sculptures from our favorite Disney movies. Look out for Snow White, Ariel, Bambi and more! How Many Homes Will Be Available At the Golden Oak? It is estimated that there will be approximately 450 homes once construction is complete. What Type Of Homes Are Currently Available? There are three different types of homes that are available for purchase. Click here to see more information. 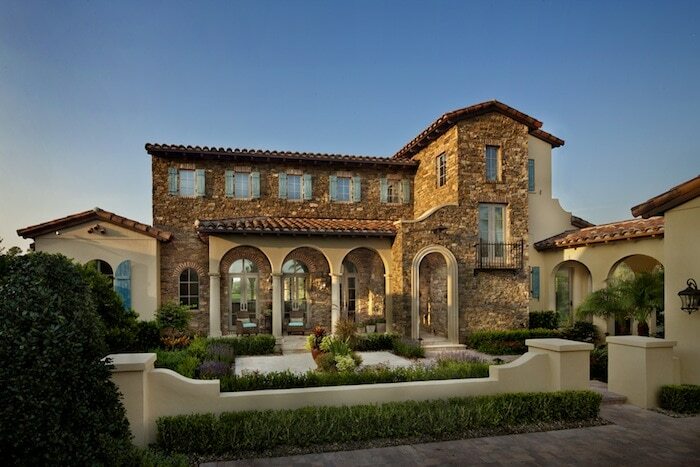 Village Homes: Tuscan inspired homes located adjacent to the private clubhouse on approximate .25-acre homesites. 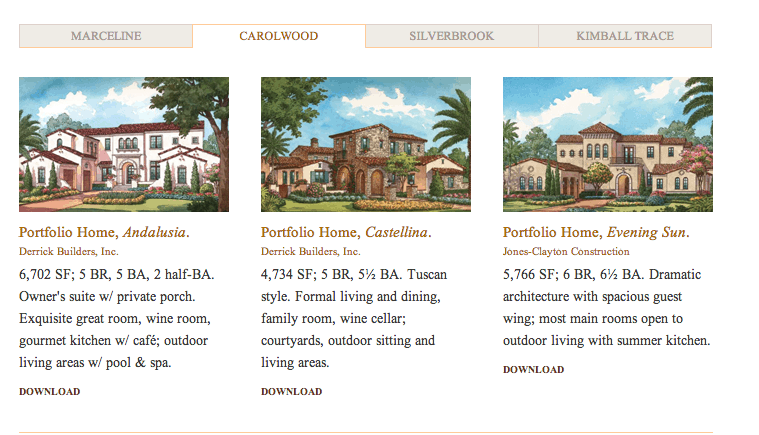 Estate Homes: Located on approximate .5-acre homesites, Estate Homes offer a variety of architectural styles including Tuscan, Southern Classical, French Country, Spanish Revival, Venetian, Italianate, Dutch Colonial and Island Colonial. Grand Estate Homes: (limited number) Offered on approximately .75-acre homesites. Designs are consistent with Estate Home architectural styles. 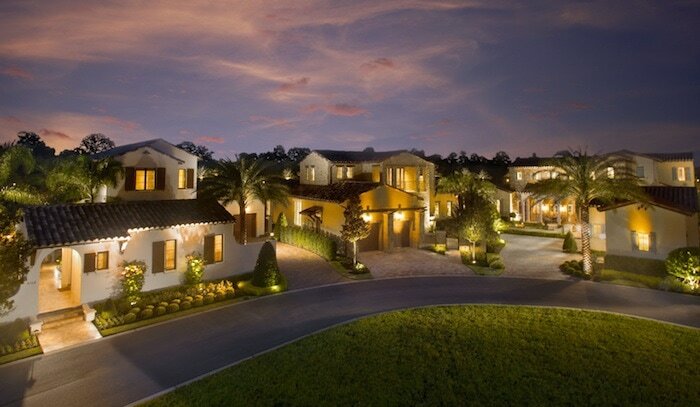 Grand Estate homes are designed to accommodate the needs of large and extended families as well as corporate use. Does The Golden Oak Have A Clubhouse? Yes, it’s called the Summerhouse and it’s beautiful! Residents can grab a quick breakfast or celebrate their 50th anniversary at the clubhouse. 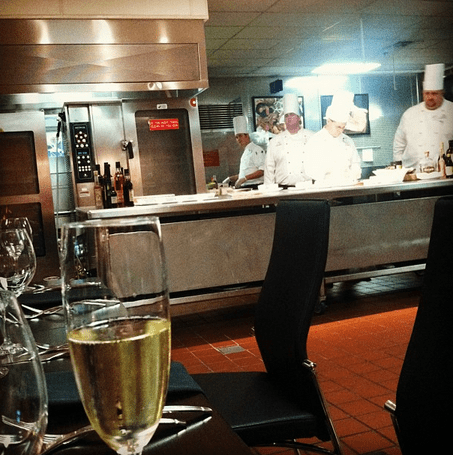 No occasion is too small or grand. 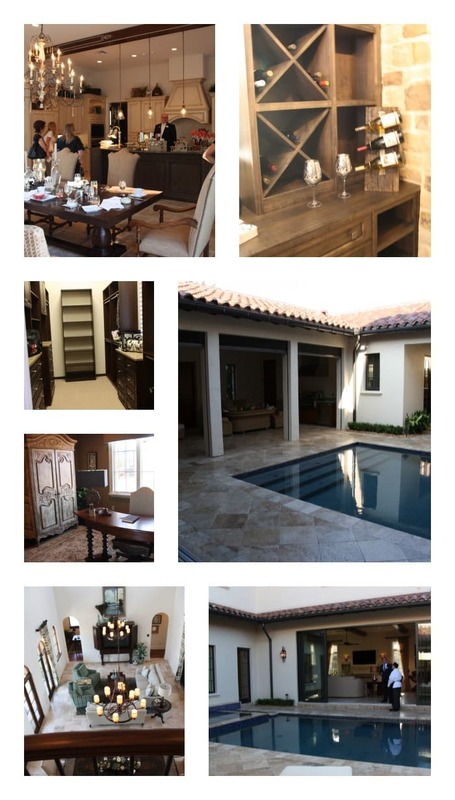 Summerhouse is approximately 17,000 square feet and located at the center of the community. Amenities include delightful gathering areas indoors and out, family room with game area and state-of-the-art fitness facilities, heated outdoor pool, courtyard and more. Future offerings at Summerhouse will include ticketed events hosted by Resident Services. Tell Me More About These Ticketed Events. The good people at the Golden Oak want to make sure that their residents are entertained throughout the year and have a full calendar planned which include special seatings / shows / tastings and more. Residents can opt into these VIP experiences or not. It’s entirely up to them. Services include assistance with travel and private transportation arrangements, tickets for Disney theme parks and special events, private VIP tours, golf tee-times, dinner reservations, and planning parties. It’s like having a Fairy Godmother to handle every detail. (and read this part in a whisper) If your family wants to go to another theme park that doesn’t have the Disney name associated with it… the team will set that up too. Anything you need. Anytime. Anywhere. Golden Oak residents can also take advantage of “Disney Connection” amenities. Orlando is home to eight major shopping malls, dozens of outdoor shopping centers and countless trendy boutiques. 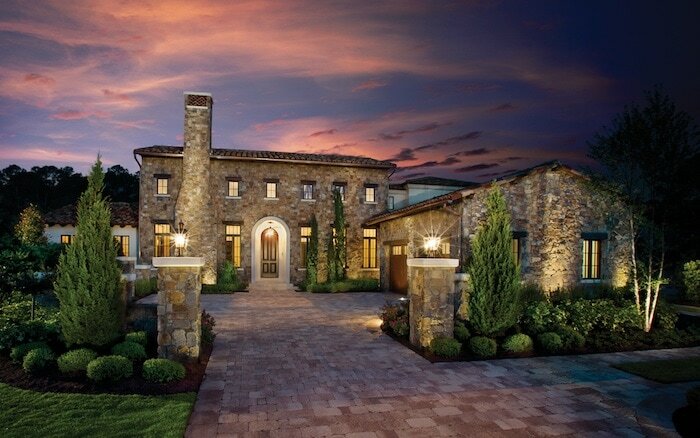 Some of the world’s most exclusive stores call Central Florida home. Golden Oak is just 2.9 miles from Disney’s largest shopping center, the Downtown Disney® Marketplace. There’s no shortage of cuisine options for every palate in Central Florida, and fine dining can be found in all of the Disney Parks and Resorts. 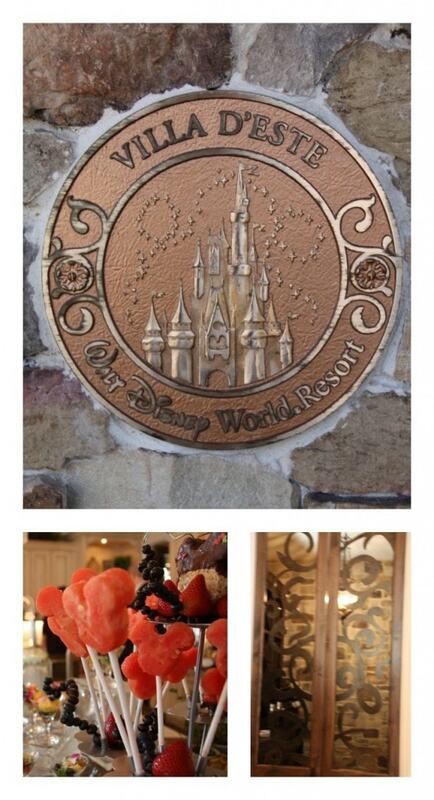 Reservations for Golden Oak residents to dine within Walt Disney World® Resort, or out on the town, can be made by the Resident Services team. Florida offers a year-round warm climate with 663 miles of white, sandy beaches. Golden Oak is just 45 minutes from Florida’s east-coast beaches and approximately 90 minutes from west-coast beaches. Disney also has two phenomenal water parks within six miles of Golden Oak. Orange County Public Schools educate over 175,000 students. Golden Oak falls in the district of Sunset Park Elementary, Bridgewater Middle and West Orange High. The county also offers choices for magnet and charter schools. There are several highly esteemed private schools in the area. The culture within Orlando is as diverse as the countries in the World Showcase at Epcot®. Orlando has its own ballet, philharmonic, science center, museum of art and Shakespeare Theater. Florida Hospital has seven locations in Central Florida with the closest being Florida Hospital Celebration Health only seven miles from Golden Oak. This location features the Florida Hospital Sports Medicine and Rehabilitation Center. The nearest walk- in urgent care facility, approximately three miles from Golden Oak, is Lake Buena Vista Centra Care. There are centers for all faiths throughout Orlando, many located just a few miles from the Disney area. Orlando prides itself on being home to the NBA’s Orlando Magic. Other teams who call Central Florida home are the AFL’s Orlando Predators, the ECHL’s Orlando Solar Bears and NCAA’s UCF Knights. For athletes, Golden Oak offers a state-of-the-art fitness center at Summerhouse, along with recreational trails throughout the community. There are various golf courses at Walt Disney World ® Resort, and the ESPN Wide World of Sports Complex is just 4.5 miles away. 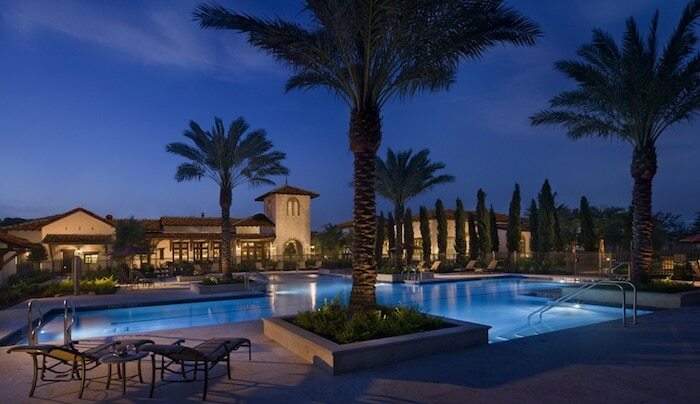 What Amenities Can Golden Oak Residents Use From The Four Seasons Orlando? Can you stand it!? As we walked through the kid bedrooms, my heart just melted. What MAGIC. Imagine being able to have your children / grandchildren come down and visit you and stay in one of these really special rooms. Talk about a lifelong memory. Does The Golden Oak Properties Come Furnished? No. But you have the option to hire a Disney interior decorator who will work with your personal style and the theme of your home. In fact, most residents opt for this. Does Anyone Live At The Property Year Round? A resident is considered permanent if they live in the home 9 months out of the year. There is a small percentage of homeowners that do so. Let’s Talk About Their Newest Neighborhood- Marceline! Golden Oak at Walt Disney World Resort just announced plans for its newest neighborhood, Marceline. 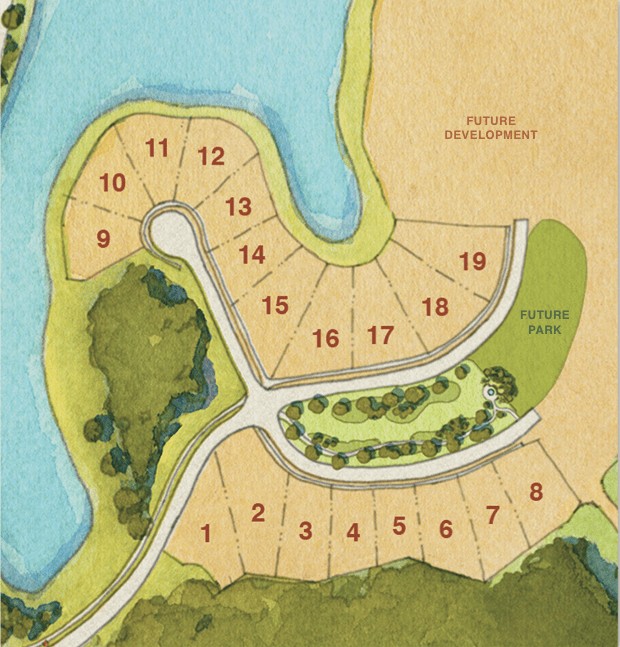 There are 19 homesites up for grabs. Actually – some have already sold! More than half of the Marceline homesites will offer water views and others will border on a nature preserve. Each homesite is approximately one- quarter acre in size and is within easy walking distance of Summerhouse, the private clubhouse for Golden Oak residents and their guests. Buyers can select from three prestigious homebuilders to create custom homes ranging in size from approximately 3,800 to 4,500 square feet. Marceline is named after the Missouri town where Walt Disney grew up in the early part of the 20th century. Memories from those formative years profoundly influenced creative directions he took throughout his life. No. This is whole ownership. Can I Rent My Golden Oak Disney Property? No. This is strictly prohibited. However, you can absolutely invite friends and family to come down and enjoy Disney without you being present. They will also still have access to the clubhouse. I Would Love More Information About The Golden Oak. * The Golden Oak invited my family down on a press trip to experience the property and the services they offer. All opinions are my own. A summer house here would be Ah-MAZING!! Wow! Like everything Disney, this looks like it is done right with no detail unnoticed. So beautiful. THIS POST IS AMAZING!!! 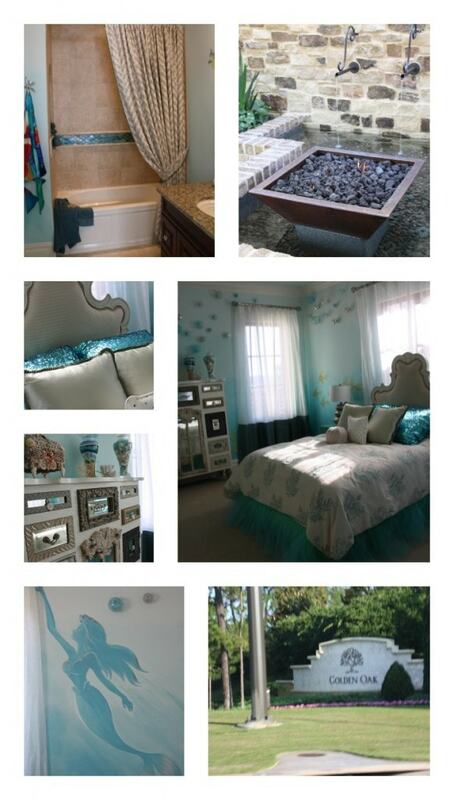 It truly takes me to the community and shows me all the amenities and reasons why Disney living aint half bad! LOVE IT! R u serious? This is amazing. What a brilliant idea. what a dream place.thank you so much for the tour and info. Oh my goodness! Talk about DREAMY! I need to visit this place. Like, wow! Looks like I found my retirement community!